The Altitude Radial Rocket is an American amateur-built aircraft, produced by the Altitude Group of Overland Park, Kansas. The aircraft is supplied as a kit for amateur construction. The aircraft features a cantilever low-wing, a two-seats-in-tandem enclosed cockpit under a bubble canopy, fixed conventional landing gear or retractable tricycle landing gear and a single radial engine in tractor configuration. The aircraft is made from composites. The wing span and area as well as gross weight varies depending on the model. 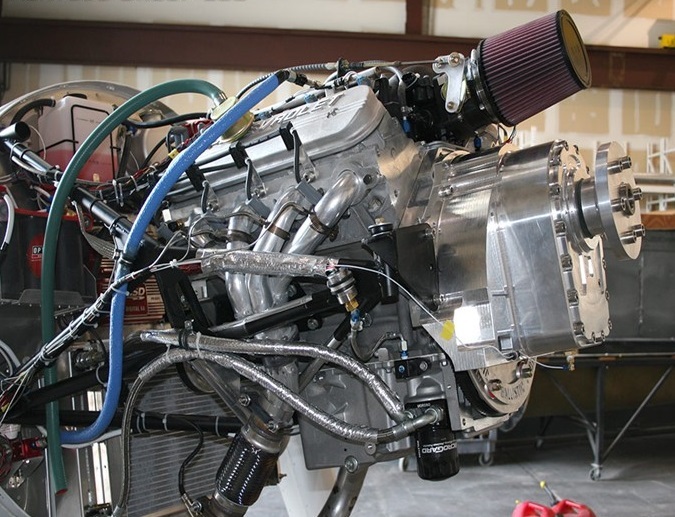 The Radial Rocket's recommended engine power range is 360 to 400 hp (268 to 298 kW) and the standard engine used is the 360 hp (268 kW) Vedeneyev M-14P four-stroke powerplant. 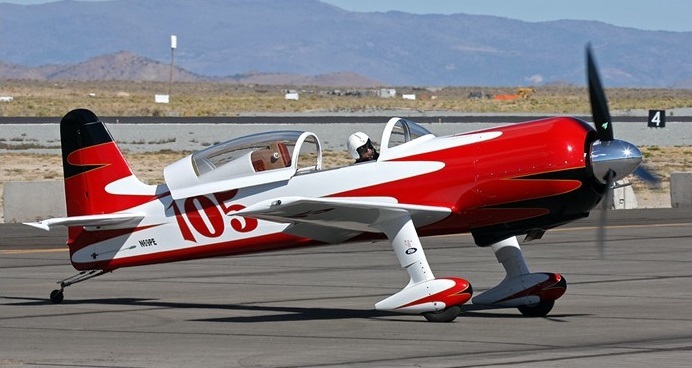 Jeff Ackland planed to sell kits under the company name New Century Aerosport. By October 2012 five examples had been registered in the United States with the Federal Aviation Administration. Unit cost US$74,500 (RG model, kit only) in production in 2011. The P85 is the result of installing powerful, light, all aluminum liquid cooled V8 engine technology into the Radial Rocket airframe. The focus of the P85 was on a simple, relatively low cost V8 firewall forward powerplant option. Toward this end, the P85 cowling has been lofted around the LS series of high performance V8’s. The engine installed in the first P85 was a 402 CID LS2/LS3 hybrid designed to deliver 400+ HP to the prop at 5000 crankshaft RPM. A 1.8:1 ratio PSRU (prop speed reduction unit) reduces prop rpm to 2800 max. This single mesh gearbox drives a Catto 3 blade, 80 inch diameter fixed pitch propeller. Also contributing to the goal of simplicity is single-lever power management – no mixture or prop controls to manage, thanks to electronic fuel injection controlled via an ECU. Retractable tricycle gear model. It has a 26.8 ft (8.2 m) span wing, a wing area of 93.9 sq ft (8.72 m2) and a gross weight of 2,575 lb (1,168 kg). Construction time from the supplied kit is 2000 hours. Two were reported flying by the end of 2011. Fixed taildragger gear model. It has a 25.5 ft (7.8 m) span wing, a wing area of 90.8 sq ft (8.44 m2) and a gross weight of 2,550 lb (1,160 kg). Construction time from the supplied kit is 1900 hours. Four were reported flying by the end of 2011. Prop / MT, 4 Blade, Constant Speed, 80 In. Diam. Wing Area / 93.9 Sq. Ft. Empty Weight / 1720 Lbs. Gross Weight / 2575 Lbs. Useful Load / 855 Lbs. Baggage Capacity / 12 Cu. Ft.
Fuel Capacity / 65 Gals. Prop / MT, 3 Blade, Constant Speed, 98 In. Diam. Wing Area / 90.8 Sq. Ft. Empty Weight / 1650 Lbs. Gross Weigth / 2550 Lbs. Useful Load / 900 Lbs. Fuel Capacity / 70 Gals.